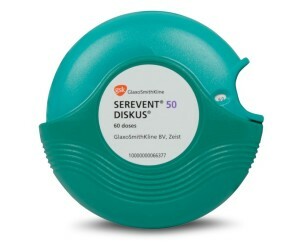 Serevent Diskus is an asthma treatment used to help with preventing asthma treatments. 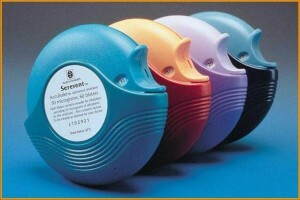 It is used by an inhalation method. And in its generic version it is called, salmeterol xianfoate. As a form of treatment it is not intended for use when a person in currently having an asthma attack. There are other types of asthma treatments that are designed to work better for such conditions. Plus salmeterol xinafoate has been known when used during an asthma attack to carry a risk of asthma related deaths. Therefore it is a priority the person only uses this medication as prescribed and be careful to follow all instructions on use. One is also advised to be sure to check with the doctor with regards to any possible personal risks that might happen from taking the medication. This type of asthma treatment is most often used for the conditions of chronic obstructive pulmonary disease, which includes emphysema and chronic bronchitis. There are other ways that salmeterol xinafoate may be used other than for this type of use. For the treatment of asthma symptoms Severent Diskus is intended to provide the type of medication that reduces the problem. However, if while taking the medication the asthma problem gets worse then one would need to talk to doctor as soon as possible. Since Salmeterol xinafoate does carry with it the increase risk of asthma related deaths the person will also want to be sure to inform doctor of any special health conditions. These can include things like a food or drug allergy, heart disease or a blood pressure, epilepsy or any seizure disorder, diabetes, liver disease or thyroid disease. 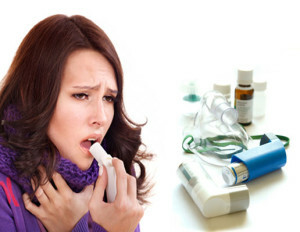 Should one have any of these conditions the person may not be able to use Serevent Diskus as an inhalation medication for asthma treatment. And if the doctor does feel it is okay to allow this medication to be prescribed he or she may need to adjust the dosage used. Salmeterol xinafoate has not been considered to be harmful to an unborn baby. If a mother is pregnant or expecting to be pregnant during the use of the medication then she will need to inform the doctor. It is not known if it will be passed on through breast milk, but a woman should be sure to let doctor know is she is nursing. This medication is not to be given to a child under four years of age. There are several possible side effects from using Serevent Diskus. These will include the possibility of chest pains, fast or pounding heartbeats, tremos, skin rash, bruising, severe tingling or numbness, weakness, wheezing, choking or worsening of asthma symptoms. In addition there maybe be things on a less severe incident from headache, dizziness, insomnia, sweating, nausea, vomiting, diarrhea and dry mouth. There are more possible side affects that can be found by checking with one’s doctor. He or she will be able to explain any possible unusual side effects. Any questions one might have about the use of medication should be mentioned to one’s doctor. He or she will be able to help ensure the patient is given the information needed to properly use Serevent Diskus. And for any reason the person has any other reasons to be concerned over the product they can easily be dealt with by one’s health care provider. It will all be part of what people who use this medication for asthma treatment will have to know when using the product. But the good thing is that one’s health care provider will be able to address any such problems and solve them before the result in any other consequences that might cause major difficulties.